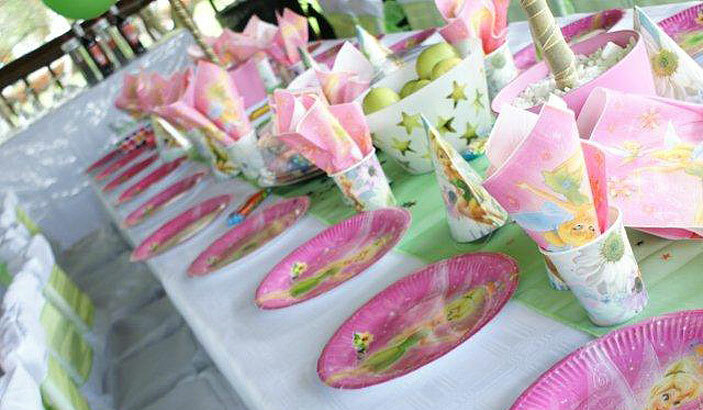 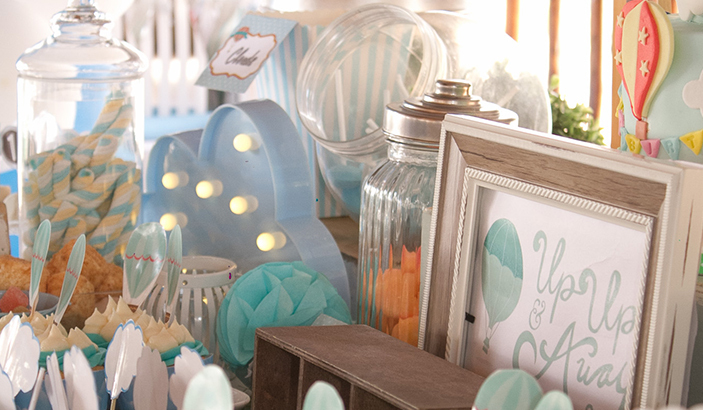 Would you like us to decorate the tables for your children's party? 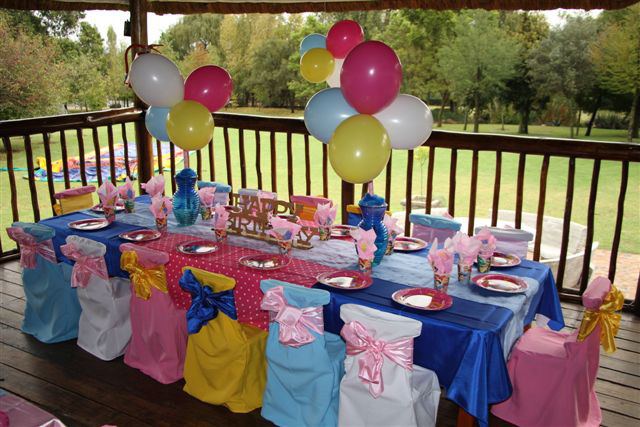 For R 39 per head, we will cover the chairs and tables in the theme colours. 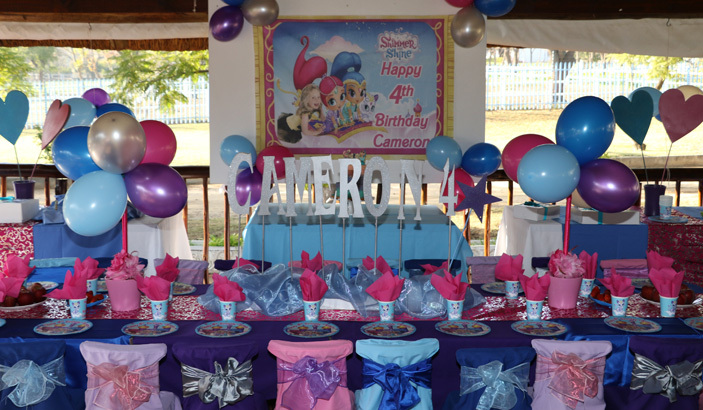 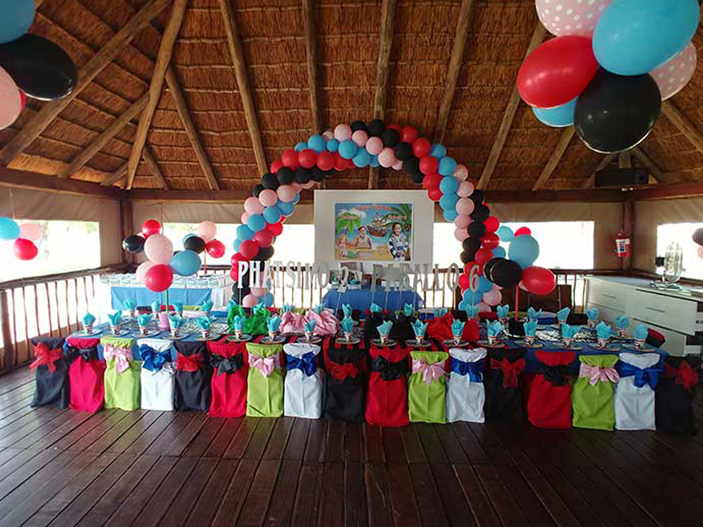 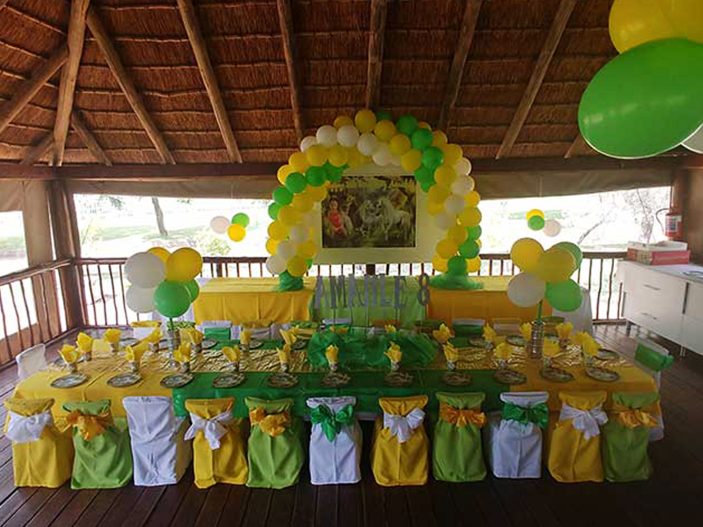 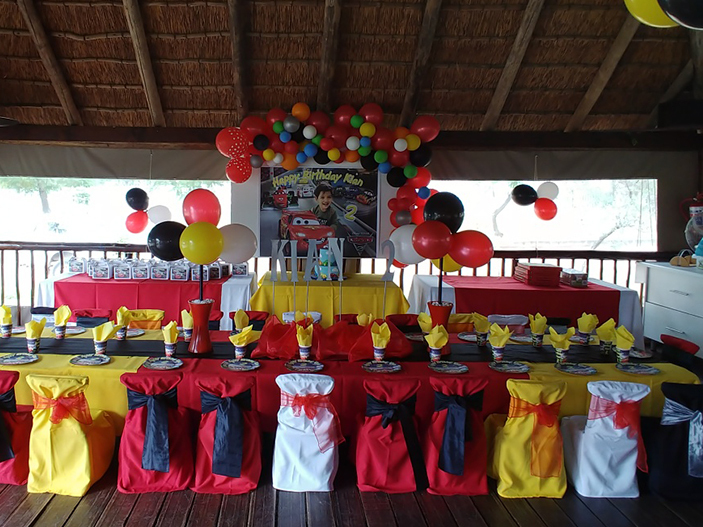 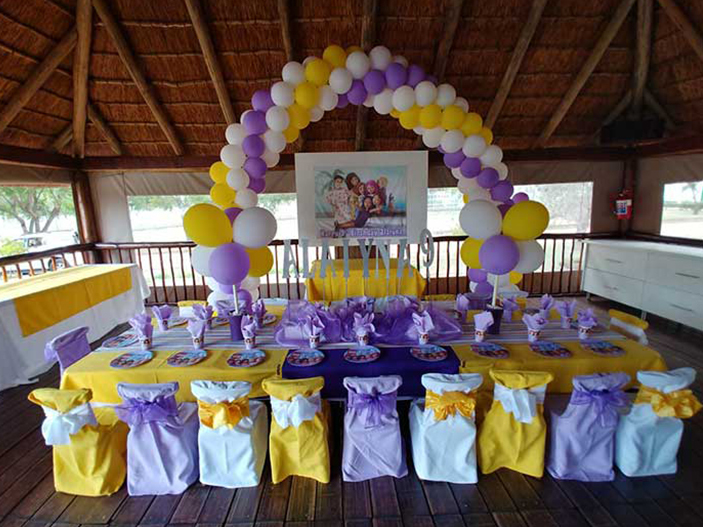 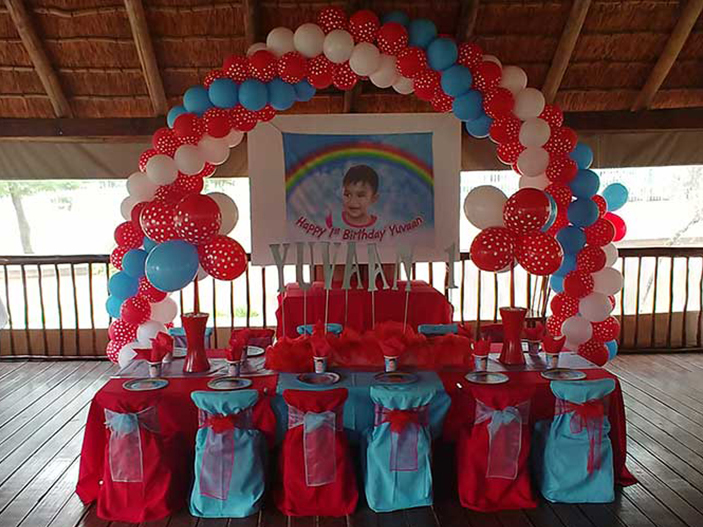 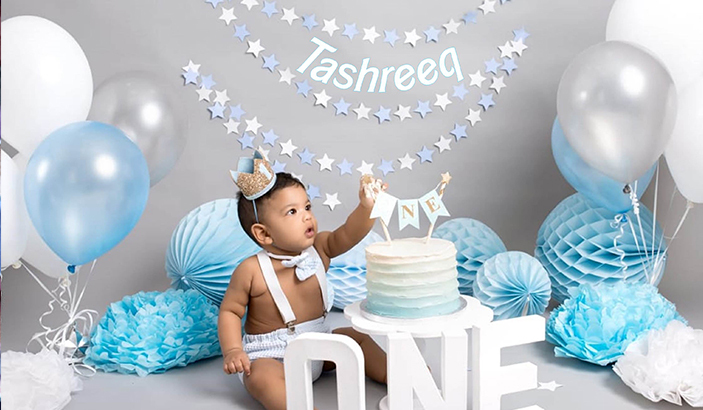 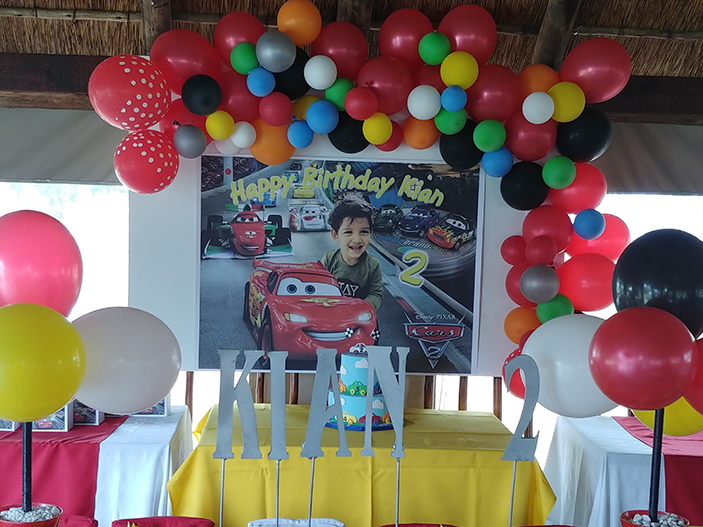 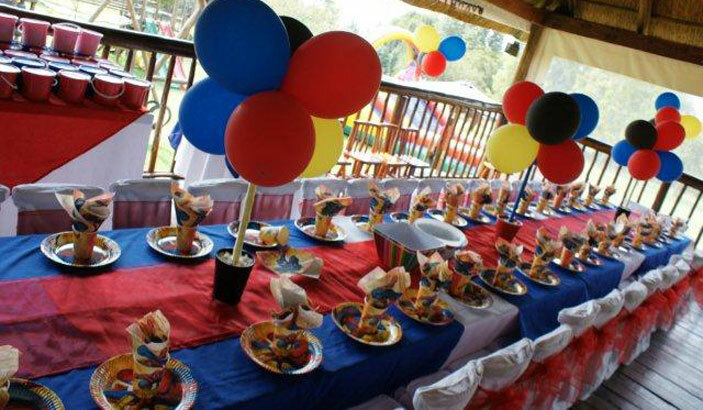 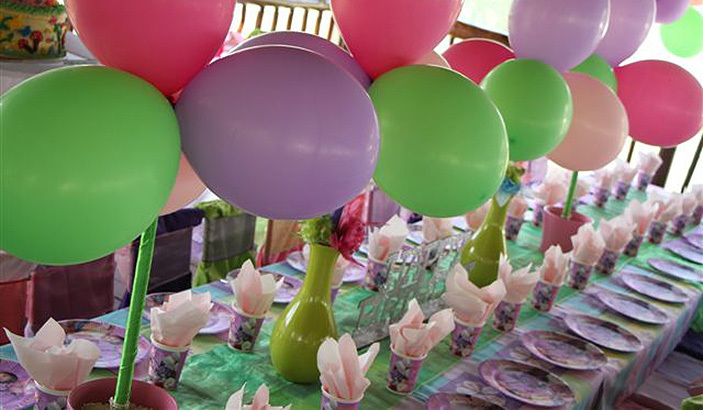 We suspend the birthday boy/girls name and age as a centrepiece on their chairs and table as well as a bunch of balloons (also in the theme colours) on thechairs and table (see image gallery). 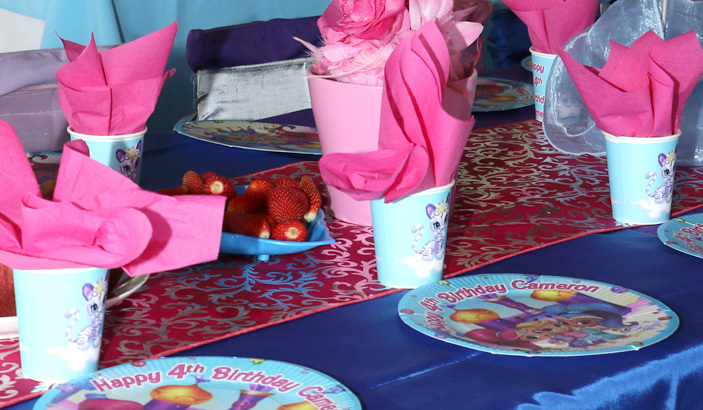 For R 49 per head we will offer the same as option one but in addition, we include personalised theme plates, cups and serviettes with the birthday persons name and age. 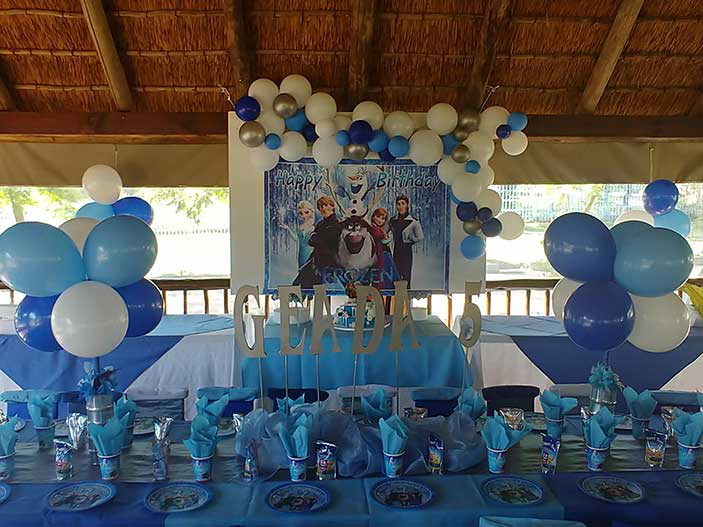 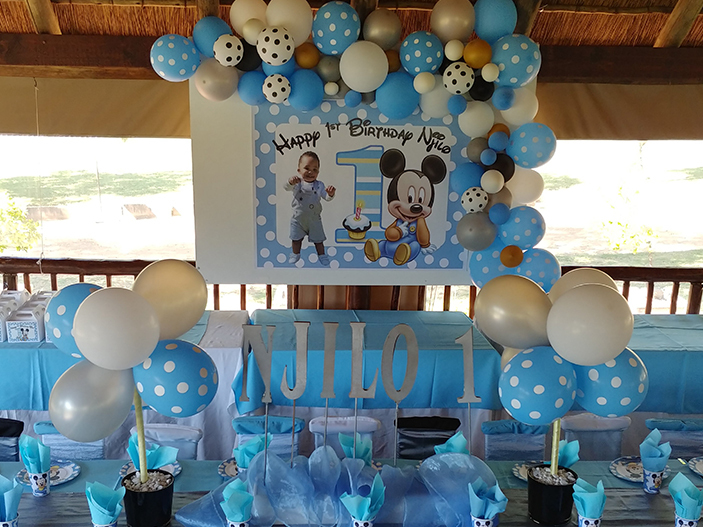 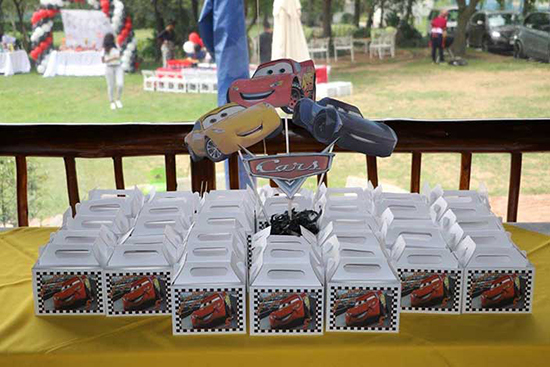 For R 52 per head we will offer the same as option one but in addition, we include personalised theme plates, cups and serviettes with the birthday persons name and age and picture. 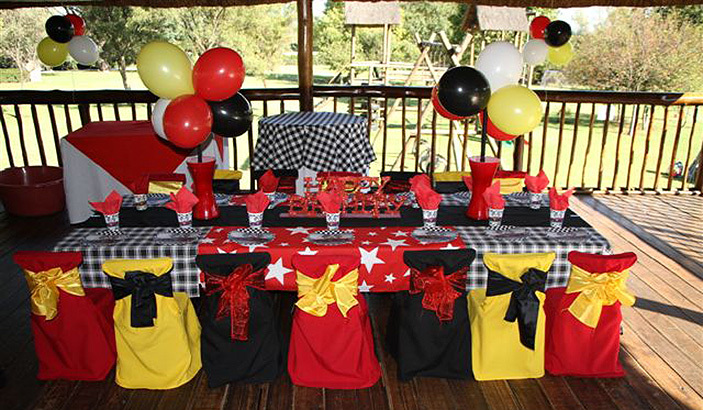 For R 490 we can also fully deck out the lapa, again in keeping with your theme. 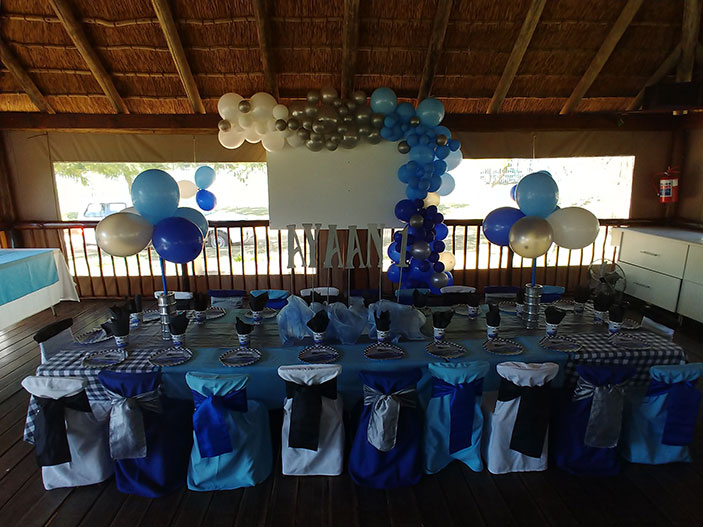 This includes suspending approximately 80 balloons on the overhanging beams and the outer perimeter, white linen tablecloths and coloured overlays on the adult tables. 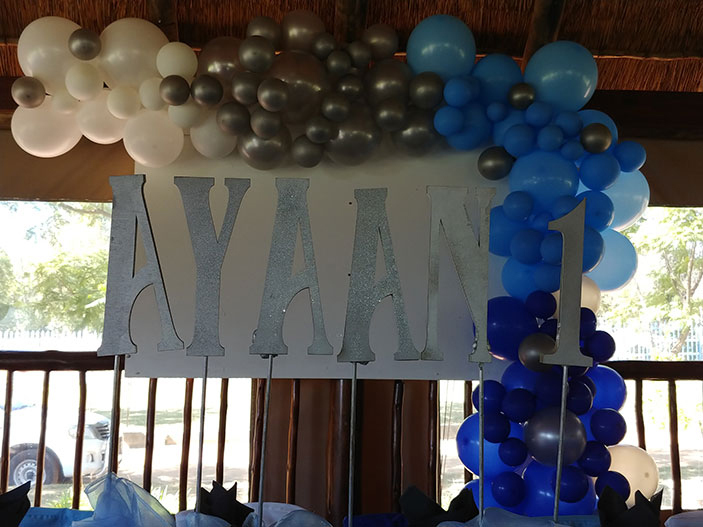 (we have a selection of colours for the balloons and overlays to enhance your theme. 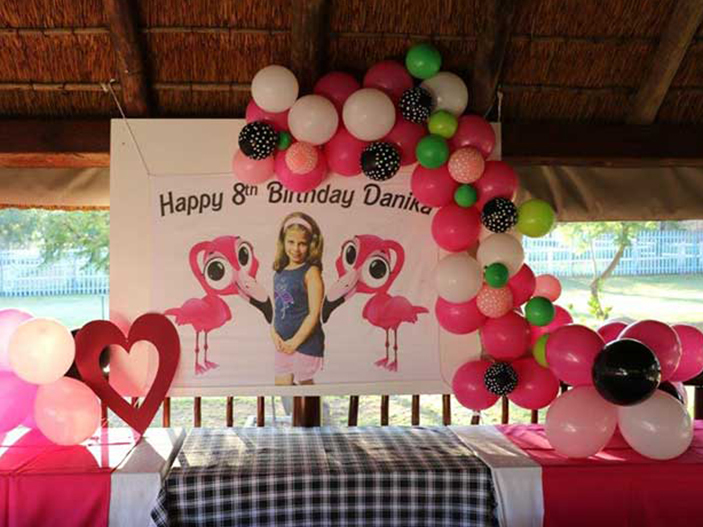 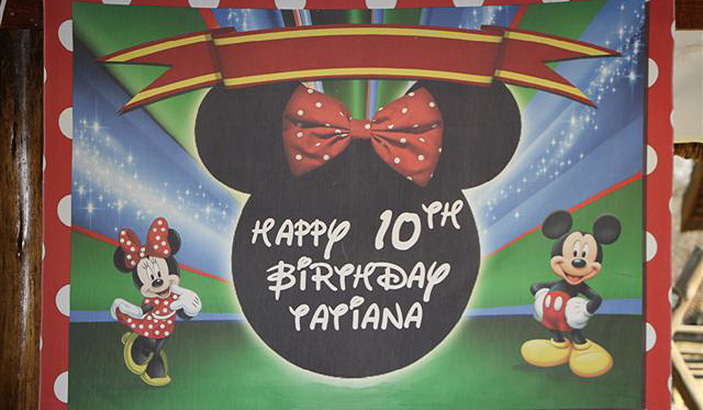 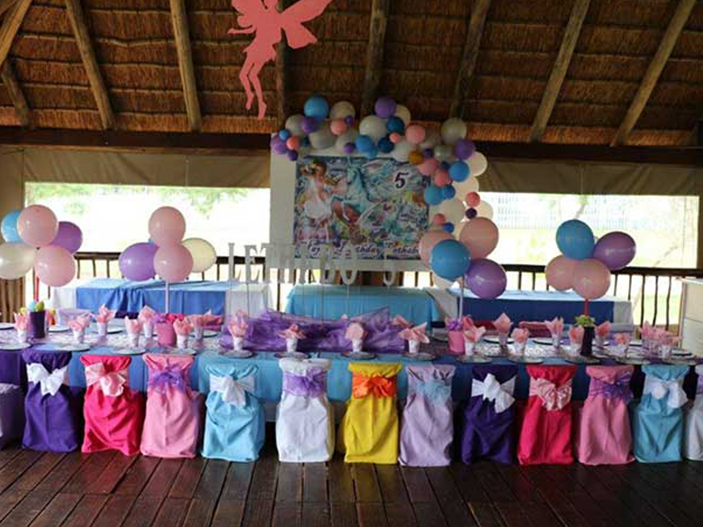 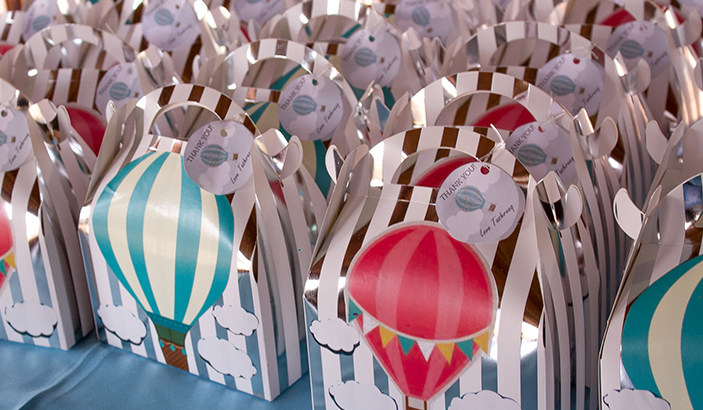 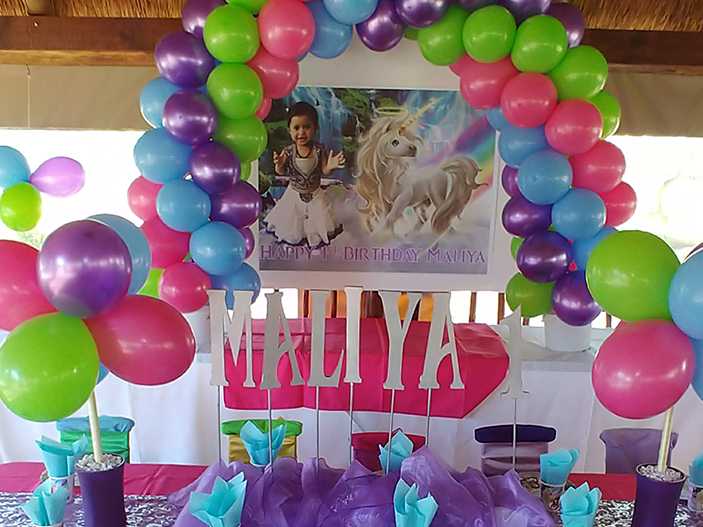 For just R160 choose the deluxe package which incorporates an inhouse birthday banner. 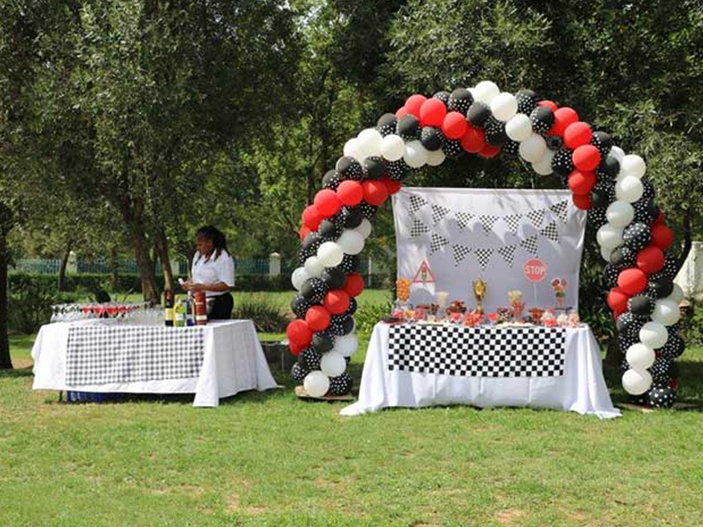 These banners look great with a ballon frame or arch and complete your themed decor perfectly. 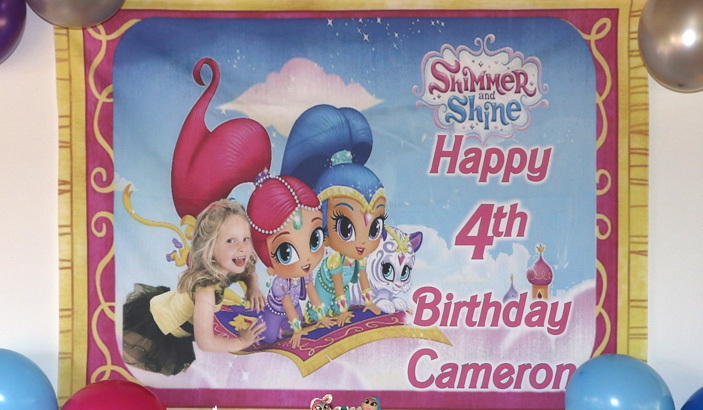 For the cherry on the top, at R480, you can have a banner with the birthday person can have their picture on a banner, name and age, in their chosen theme, and at the end of the day this banner can be taken home. 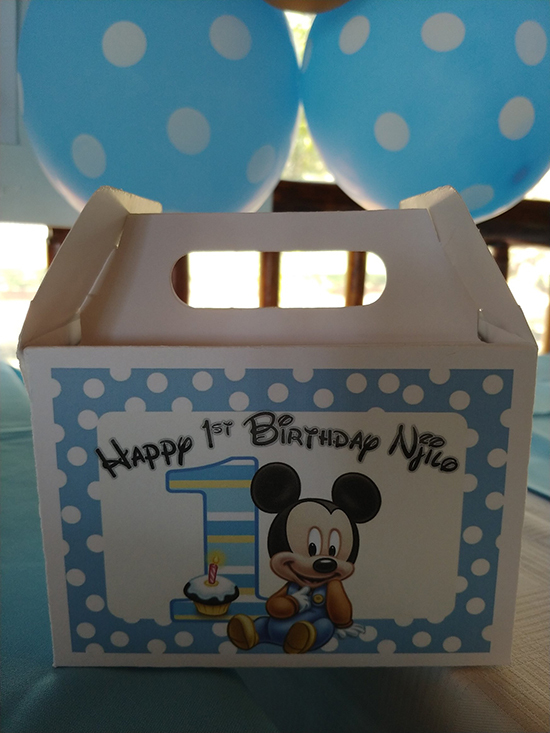 Includes the same as the Standard Pack but the items are from a more expensive name brand.